The discussion began with a debate about the confirmation hearings of President Donald Trump’s nominee for attorney general, William Barr. They later moved on to the question of racial diversity in cable news. Recently, Rep. Alexandria Ocasio-Cortez (D-NY) called out CBS News for failing to hire any black journalists to cover the 2020 election. Webb asked Martin for her opinion on the controversy. She said she rejected the idea that there were not enough black people interested in journalism, and noted that many had spoken out on social media about their interest. Martin also agreed with Ocasio-Cortez that it was not acceptable for media outlets to claim there were not enough journalists of color available. Webb also asked Martin whether Black Entertainment Television (BET) would have to hire a white or Hispanic reporter. 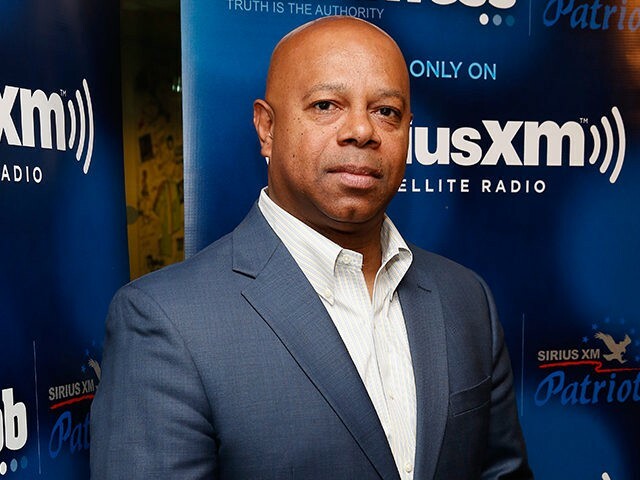 Martin said that was up to BET, but that networks with diverse audiences should have on-air personalities that reflect that diversity, especially with the wide diversity of candidates expected in the Democratic presidential primary in 2020. Areva, I hate to break it to you, but you should have been better prepped. I’m black … See, you went to white privilege. This is the falsehood in this. You went immediately with an assumption … You’re talking to a black man who started out in rock radio in Boston, who crossed the paths into hip-hop, rebuilding one of the greatest black stations in America, and went on to work for Fox News, where I’m told apparently blacks aren’t supposed to work, but yet you come with this assumption and you go to white privilege. That’s actually insulting! Webb, indignant, noted that his family background was diverse. “This is part of the problem with driving the narrative around a construct like white privilege.” While privilege existed, he said, it was not necessarily determined by color.